Thousands of Muslims today threatened to boycott the Congress in case one of the ministers in the government, according to them, did not stop supporting the Ahmadiya sect. They also regretted the vicious media campaign at the international level to defame the Muslims and paint them as terrorists. 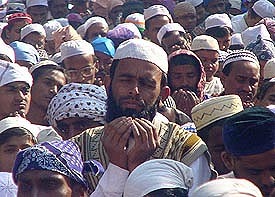 The Muslims also prayed for world peace. A fraud worth several lakhs of rupees is alleged to have been committed in Agriculture Cooperative Service Society at Kadiana Kalan village in the district with the active connivance of some inspecting officials of the Cooperative Department. While the Municipal Corporation has made significant headway in the delivery of civic services and development of infrastructure in the mega city, one vital area — removal of encroachments — has been persistently neglected. A lot is still to be done to effectively address the problem of temporary and permanent encroachments in residential colonies, commercial centres and most of the city roads. The Residents Welfare Association of Shaheed Bhagat Singh Nagar (E- Block), developed by the Ludhiana Improvement Trust, are sore at the non-redress of problems pertaining to encroachments, insanitation and bad roads. Officials of the trust have reportedly been turning a deaf ear to the woes of the residents. According to Mr Pran Nath Bhatia, a former councillor and patron of the association, the chairman of the trust had refused to meet the delegation of the residents on the pretext of being busy. It was a providential escape for over a dozen people when a truck laden with fertilisers overturned near Jalandhar bypass here today. 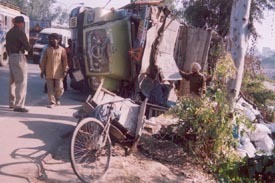 While most of them managed to escape unhurt, three were injured and were taken to hospital. Madeeha Nadeem is truly a woman of substance. For the past 20 years she has staged plays under Ajoka Theatre that has ruffled feathers of many fundamentalists in Pakistan. Ajoka has been part of the struggle for a secular, democratic, just, humane and egalitarian Pakistan for the past 20 years. Residents of Sector 32-A, Urban Estate on the Chandigarh road, have charged cable network companies, with forcing them to take connections from an operator of a particular company, whose services were not satisfactory. At last the Punjab Public Service Commission has come out with a schedule for the selection of about 540 college lecturers. Interview programme is available on the PPSC website. Devotees from the USA, England, Canada, Japan, the UAE, and other countries and from all over India have started converging for the "annual Gurmat samagam" to be held from November 28 to 30 at Gurdwara Nanaksar, Samrala Bypass Chowk, here. It is being organised by the Baba Jaswant Singh Trust. Easy finance facility offered by various banks and financial institutions has led to a sharp increase in the sale of vehicles. According to officials of the District Transport Office, the past two years they have seen a phenomenal growth in the number of registrations of vehicles. Hinduja Group flagship Ashok Leyland’s renewed thrust in the northern market has resulted in high growth volume for the company. Disclosing this here today, Mr R Seshasayee, Managing Director of the company, said with a sale of 5,445 vehicles in the first seven months of the current fiscal, the company’s sales volume in the region had grown by about 56 per cent against the industry growth of 19 per cent. With rapid urbanisation, modernisation and affluence, the prevalence of obesity is increasing in Punjab. Results of a survey carried out by the VLCC have confirmed that the incidence of obesity and related problems in urban areas of Punjab is higher than in the rural areas. The diet of the people in the state is rich in visible as well as invisible fat. However, in the rural areas people spend more hours in physical activity as compared to the urban areas. 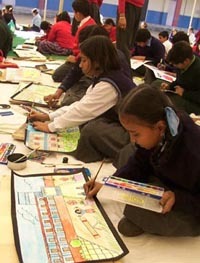 Students from 25 local schools affiliated with the Central Board of Secondary Education (CBSE) participated in an inter-school Sahodaya painting competition organised at Shivalikwala Doon School, Rishi Nagar, here today. At least 280 students participated in the competition, in which students were categorised into four groups. The first group had students from Classes I to III. The second group had students of Classes IV to VI and they were told to paint ‘School scene’, ‘Any forest’, or ‘Rainy season’. The third group had participants from Classes VII to X with the themes ‘Village scene’, ‘Mother’s love’ and ‘Marriage scene’. The Education Management Centre of Delhi Public School Society organised an interactive seminar on educational opportunities at a hotel here today. Brigadier Kartar Singh (retd) has taken over as Principal and Director of GRD Academy here. He has retired after 33 years of service with the Indian Army and has taken part in the Bangladesh war and operation Pawan in Sri Lanka. He has commanded a brigade on the line of control during 2001-02. Dr Y.S. Rajan, Scientific Adviser to the Chief Minister of Punjab and Vice-Chancellor of Punjab Technical University, will address members of the Ludhiana Management Association on November, 29. The staging of the play, “Bullah”, by Ajoka Theatre of Pakistan at Guru Nanak Bhavan last night was powerful and tugged at emotions. 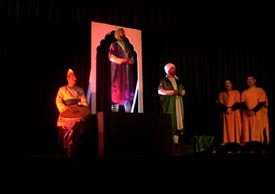 “Bullah” took the audience to the times of Bulle Shah some 250 years ago when both Punjab was undivided. It was an emotional journey for viewers who could identify with the performers. 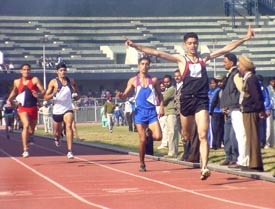 Athletes from Amritsar hogged the limelight taking their medals tally to eight gold, four silver and as many as bronze medals on the second day of the 49th Punjab State Schools Inter-District Athletics Meet for boys and girls (u-14, u-17 and u-19) being organised by the Education Department at Guru Nanak Stadium here today. 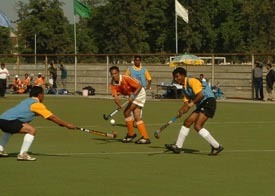 Hosts Punjab Circle registered an emphatic 7-0 victory over Orissa Circle to begin their campaign on a strong note in the inaugural match of the 17th All-India Postal Hockey Tournament, which began at the astroturf ground of Punjab Agricultural University here today. Ludhiana will be the second centre in the state after Patiala to host inter-state junior (under-19 and 22 years) cricket matches. Giving this information, Mr Vinod Chitkara, honorary general secretary, Ludhiana District Cricket Association (LDCA), said on instructions of the Board of Control for Cricket in India, the Punjab Cricket Association has asked the association to organise the matches between Punjab and Haryana in the city.